This cake is not only the Easiest Double Chocolate Pecan Cake ever, but it’s also the most delicious! A white cake mix easily transforms itself to become an irresistible confection. Hey, Rachel Cooks readers! I’m Melanie from Melanie Makes and I’m so excited to join Rachel’s team as a contributor this year! I love to make everyday eats a bit more interesting and in the coming months, I hope to do that through various pie and cake recipes I’ll be sharing with you. Today’s recipe is one of my favorites and couldn’t be easier – enjoy! When you think cake, you aren’t likely thinking quick and easy. At least I’m not! 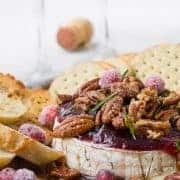 That’s why I absolutely love this recipe and it lives up to its name and then some. It’s indeed the easiest chocolate cake recipe and you can have the batter mixed and in your baking pan before your oven is even preheated. How’s that for promised perfection? I don’t use boxed mixes often, but this recipe is the perfect example of dressed-up shortcut. Forget the instructions on the back of the box – you don’t need those! Instead, using just a handful of ingredients you likely already have on your pantry shelves, you’ll have a cake fit for a birthday celebration or just to celebrate that you’ve conquered another day. And believe me, if there’s someone that’s willing to use an excuse for cake as surviving another day, it’s me! A white cake mix easily transforms itself to become an irresistible confection with the addition of chocolate instant pudding. Applesauce adds moisture without extra calories or fat. And the pecans and two cups – yes, TWO! – of chocolate chips that bedazzle the cake’s surface is destined to call the attention of anyone that happens to walk by. If you’re a big fan of chocolate – and who isn’t? – I strongly recommend finding the most chocolatey sounding instant pudding on your grocer’s shelves and using it for this recipe. The more chocolate the better, I say! I also prefer using dark chocolate chips to sprinkle over the cake prior to baking as a contrast to the cake’s sweeter chocolate flavor. They’re the perfect compliment to one another. Grease 9×13 baking pan and set aside. In the bowl of an electric mixer, add cake mix, instant pudding, eggs, milk, applesauce and vanilla. Beat on low speed for 30 seconds and then on high speed for 2 minutes. 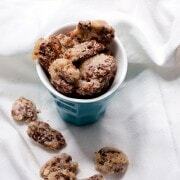 Pour cake batter into baking pan and sprinkle top with chocolate chips and pecans. Bake for 30-35 minutes or until toothpick inserted into center removes cleanly. Note: I love the Chocolate Fudge flavored pudding in this recipe for more intense flavor. 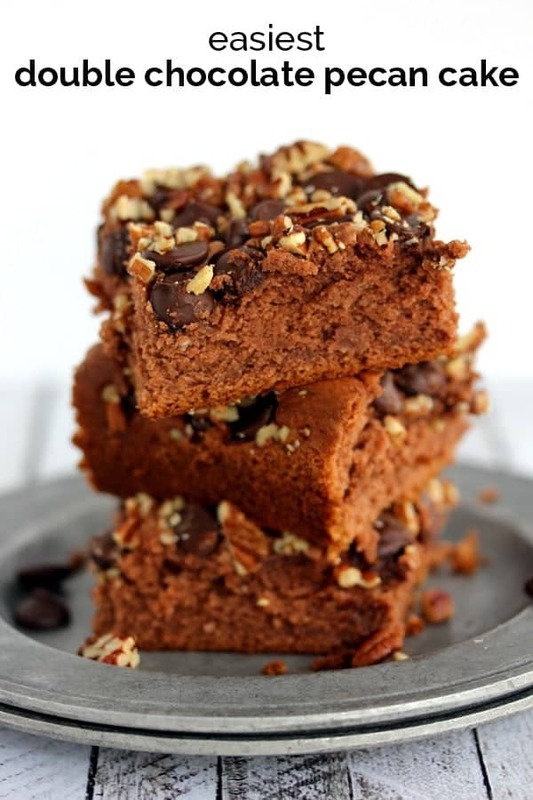 I also often use dark chocolate chips as a contrast to the sweeter cake – the perfect combination! 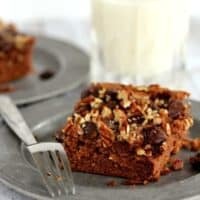 This Easiest Double Chocolate Pecan Cake is one of our family’s favorites and is destined to become one of yours as well. With a cake this easy and decadent at your fingertips, you have no excuse not to make it a regular in your sweet treat lineup! Craving more easy cake recipes? Make sure to check out Black Forest Dump Cake, Clementine and Vanilla Bean Yogurt Cake, Peach Spice Coffee Cake, or Apple Skillet Cake with Maple Marscapone Glaze from Melanie Makes. Melanie Bauer lives in Cleveland, Ohio and is the Melanie behind Melanie Makes where she works to make everyday eats a bit more interesting. She thinks every dessert can be made better with chocolate ganache and believes menu planning is a must for a more enjoyable week. You can find her at www.melaniemakes.com or on Twitter @melaniemakes. This cake looks incredible! I’m a super fan of doctoring up cake mixes to save some time. 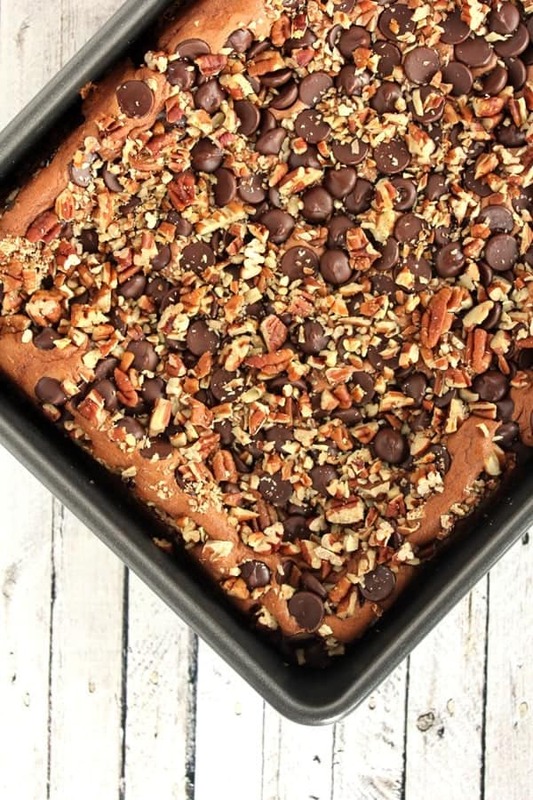 Looks like you’ve found all the right ingredients to make this recipe a winner! 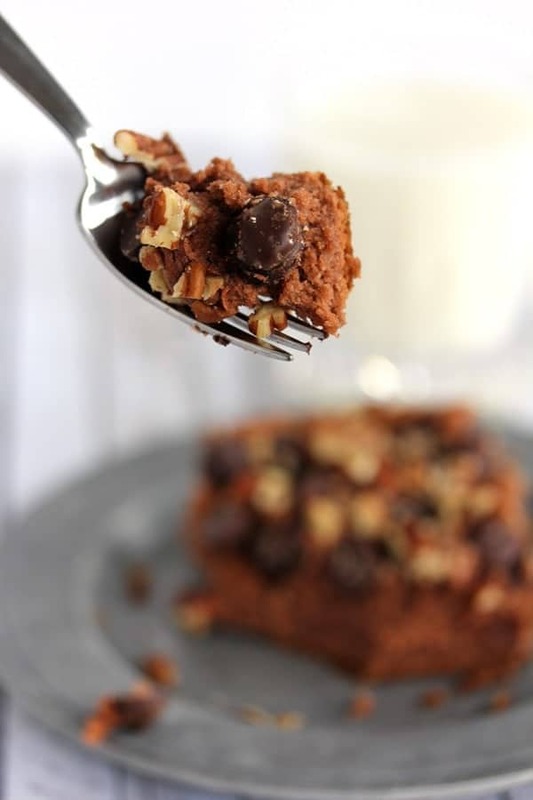 such a sweet and nutty cake! tasty and so simple! Mmm, cake! I love turning a boxed mix into something like this. It looks awesome! 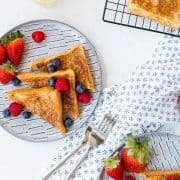 These look amazing – and I love how easy they are to make! 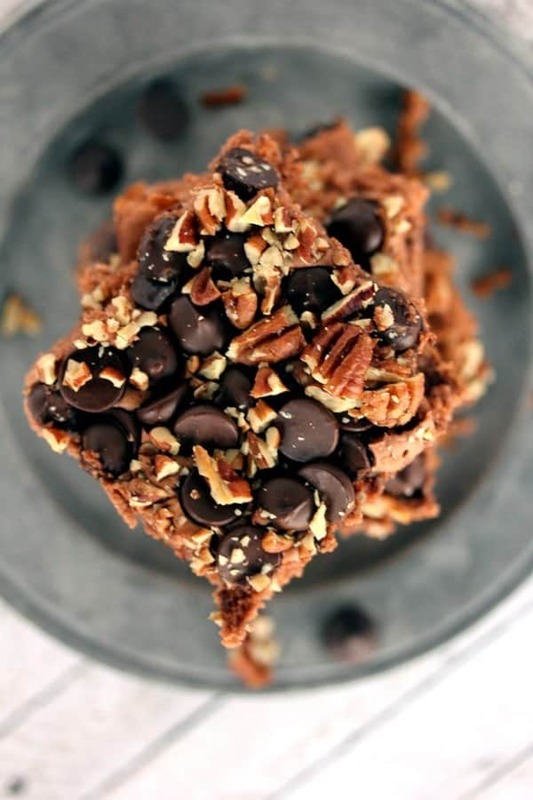 Pecans and chocolate belong together! Delicious! Okay, you’ve totally nailed it with this one! It reminds me of turtle cookies -which I’m obsessed with – but in cake form. Oh I’ll definitely be needing to make this! 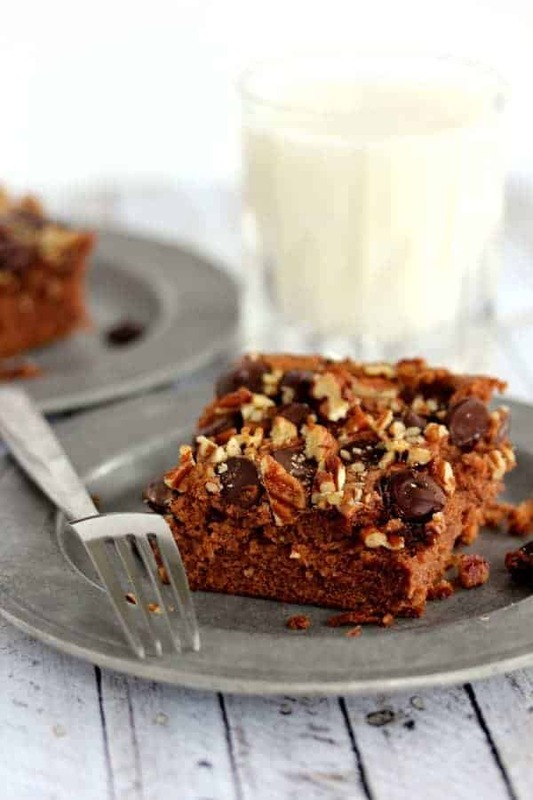 This looks easy and good – perfect for throwing together something sweet for after school or a late night snack!